All SUN CITY GRAND ARTESIA homes currently listed for sale in Surprise as of 04/23/2019 are shown below. You can change the search criteria at any time by pressing the 'Change Search' button below. 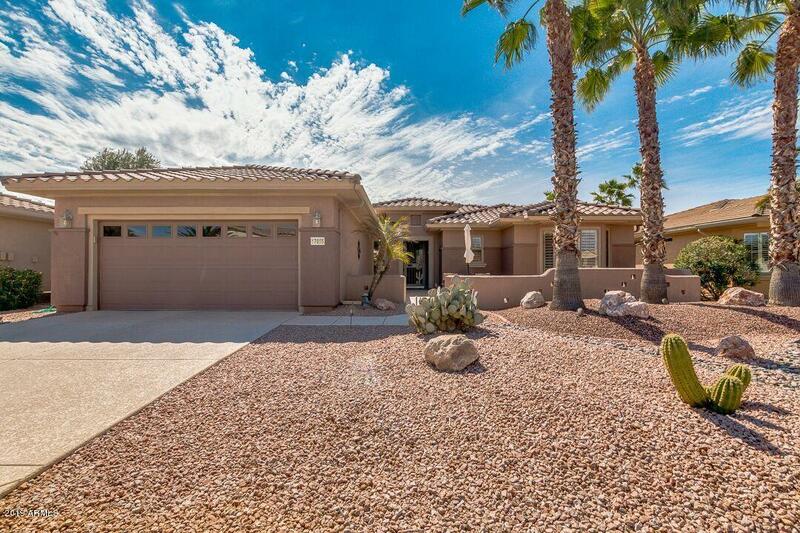 "BREATH TAKING VIEWS OF THE WHITE TANK MOUNTAINS & THE #6th HOLE OF THE CIMARRON GOLF COURSE * THE VALENCIA 11 IS A FAVORED FLOOR PLAN, * THIS HOME HAS UPGRADES AND UPDATES GALORE*NEWER STAINLESS KITCHEN APPLIANCES* CORIAN COUNTERS*BREAKFAST BAR*KITCHEN ISLAND*PLANTATION SHUTTERS*LARGE DIAGONAL CERAMIC TILE ,AND LAMINATE *RAISED PANELED DOORS*FIREPLACE *DEN/OFFICE* CEILING FANS*INSIDE UTILITY ROOM*EPOXIED GARAGE WITH UTILITY TUB & CABINETS*SECURITY DOORS, KNEE HIGH WALLED PATIO'S BOTH FR"